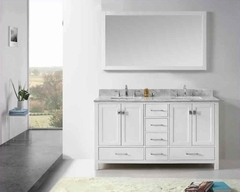 This collection exudes a style that bridges the gap from contemporary to transitional. Dark finish slightly highlighted on simple cherry veneers to create these design features. 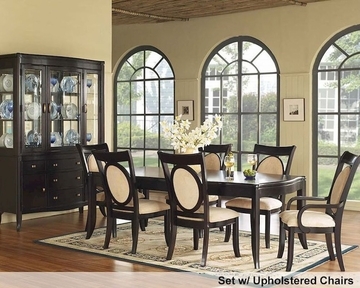 The dining room offers an ample sized china with curved, beveled glass doors, curio ends and mirrored back. 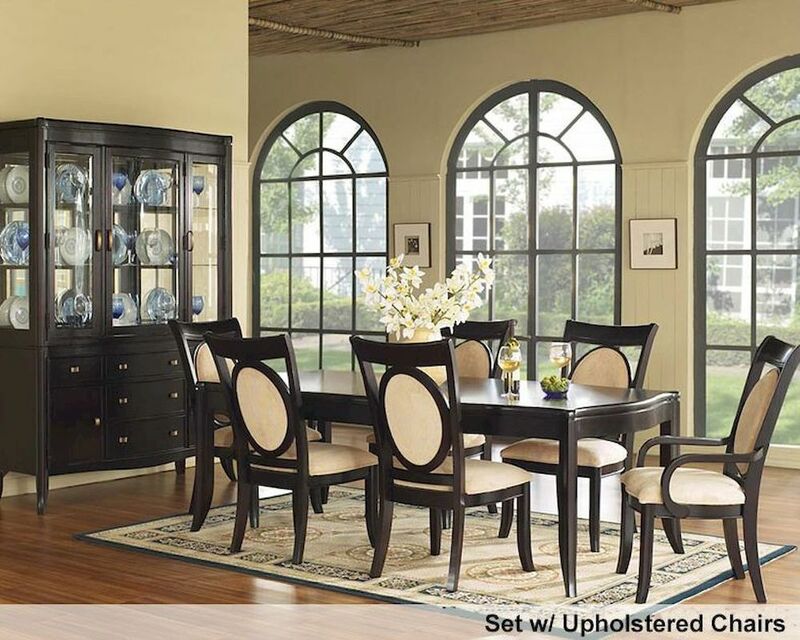 The dining table has a shapely serpentine top and apron with flared legs and softened edgework. The elegant dining chair has designer appeal featuring an upholstered oval back within the back frame. The chair profile offers a fair amount of sweeping back pitch and shapely looping arms.